GAINESVILLE, July 21, 1999 – Missing an important call because your cellphone wasn’t properly charged is a common problem in an increasingly wireless world. Rechargeable batteries hold the key to our reliance on convenient, portable products, yet few people understand the basics rules of recharging rechargeable batteries. Even fewer know that when certain rechargeable batteries can no longer hold a charge, they can and should be recycled. Nickel-Cadmium (Ni-Cd) batteries are the most common type of portable rechargeable battery, and they’re used to power products such as cellular and cordless phones, camcorders, power tools and many other consumer electronic devices. By the year 2000, it is estimated that more than 75 million Ni-Cd batteries will be sold in the U.S. alone. “Most people don’t know that the used Ni-Cd batteries that collect in their desk drawer or those left in products because they no longer hold a charge, can and should be recycled,” said Ralph Millard, Executive Vice President of the Rechargeable Battery Recycling Corporation (RBRC), an international, not-for-profit organization that runs the “Charge Up to Recycle!” program for Ni-Cd battery recycling. Charge your new battery overnight (14-16 hours) before using it for the first time. This is called “initializing” and will enable you to obtain maximum battery capacity. Recharge batteries only when they are near to fully discharged. You can tell that a battery is discharged by a sharp drop in power or speed. If your rechargeable Ni-Cd battery will no longer hold a charge, don’t throw it away! 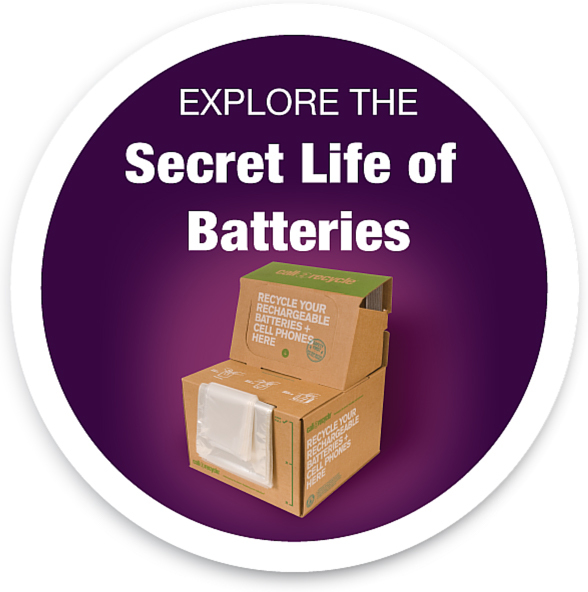 Call 1-800-8-BATTERY or visit www.rbrc.org to find the nearest retail site or recycling center among the 26,000 participating across the country. National retailers participating include ACE Hardware, Ameritech, Batteries Plus, BellSouth Cellular, BLACK&DECKER, Car Phone Store, Cellular One, Circuit City, GTE Wireless, RadioShack, Porter Cable Factory Service Centers, Sears, Target and WAL-MART.